Get cooking in the Chef Club Kitchen! The Shopkins are ready to make and bake. 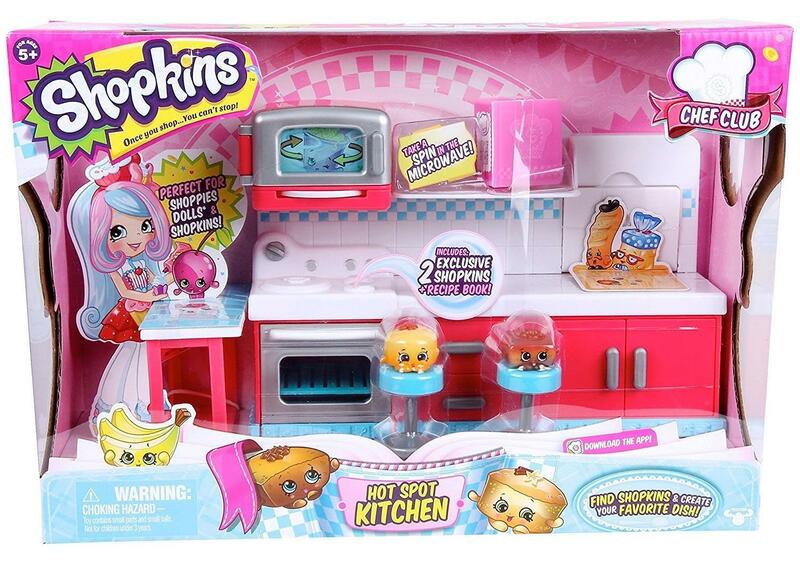 Take the Shopkins for a spin in the microwave. Cook up a treat in the oven. Pop down the surprise breadboard for a slice of the good life! Store your recipe books on the shelf and Shopkins in the cupboards and drawers. Display your Shopkins on the two stools and the cake stand! 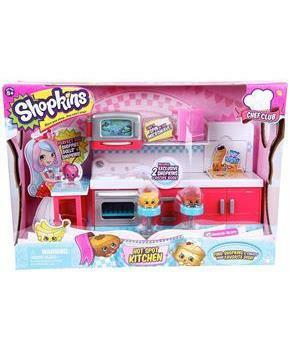 The kitchen play set comes with 2 Exclusive Shopkins and 2 recipe books! This Chef Club playset connects with other Chef Club Plays sets to create the Chef Club Kitchen! Get cooking in the Chef Club Kitchen! The Shopkins are ready to make and bake. Take the Shopkins for a spin in the microwave. Cook up a treat in the oven. Pop down the surprise breadboard for a slice of the good life! Store your recipe books on the shelf and Shopkins in the cupboards and drawers. Display your Shopkins on the two stools and the cake stand!